iPhone 5... Is it worth buying?? Earlier I was planning to buy this new phone but I didn't find anything exiting in it. Its just the same, I am disappointed with this release. Can anyone suggest any more exiting phone other than iPhone series or should I go with this one only. It's just another overpriced Apple product with a few changes to it. It's really interesting how people always remember to tell that Apple products are "overpriced". I have owned many Apple products (never an iPhone - yet! ), and I have always thought they have been worth their cost, beautiful products that work well and have all the necessary features (for me). You get what you pay for. And it's not "overpricing" if a product costs - let's say - 15% more than a comparable product. In a mobile phone we are talking perhaps about $100. A Small sum that is easily wasted on drinking in bars or eating out a couple of times. I think people had unrealistic expectations for iPhone 5. They can't even say what they are missing, they just doesn't get the "wow"-factor because the product has matured. Even if the product is better than the earlier version in just about any aspect. Every upgrade cannot give the same feeling as the first iPhone or first iPad or first iPod, it's just the way it is. The expectations where way too high. But it still seems like they are just catching up on the competition. I was also quite excited to see what it will have to offer and am also quite dissapointed. In most regards it isn't much better than my over a year old Samsung Galaxy Nexus. I have a feeling that android is slowly getting the edge! I didn't had unrealistic expectations, but as said apple products cover nearly 60-70% of market share so yes I expected bit more. Samsung Galaxy S3 had more than such features which we are seeing now in iPhone5. Here is the quick comparison between the products. I'm very happy with my Nokia 808! It's the most interesting smartphone at the moment IMHO! That said I'm also happy with my retina iPad but I do think the iPhone 5 is pretty lame just a minor update to iPhone 4. Which has the best camera? Where did you get the info on market share from? Today on the Radio they where talking about a 20% market share from Apple (iPhone) and around 60% Android. woops!! I just read some blog yesterday. Its regarding iPad not iPhone. I will have to agree that Android is really kicking up the market now. But one shouldn't forget that the Android market share is from a whole lot of different Cell Phone producers and not just one firm like Apple. 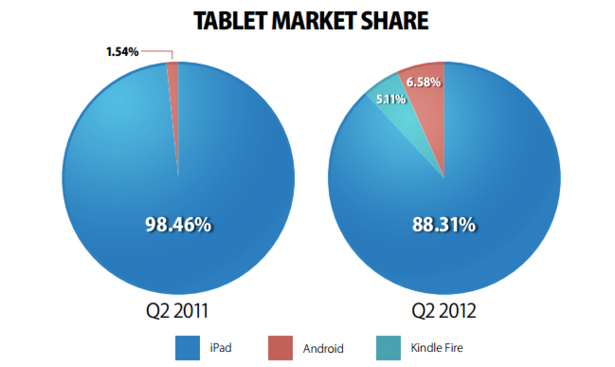 So the Apple market share is still quite big! Yes it is just because of this fact only I got confused. I think I will wait more till other devices get launched. I hate this thing when you do a lot of research and finally buy the product..... and after one week you get news that a new product from another company was launched with less price and more new features.. I use a Nokia 6310i (circa 2001). Seems a pretty 'smart phone' to me __ it's great for making telephone calls to people all over the world. "made while abusing Workers in Asia ("
Just because it is hard to find better alternatives this is no excuse to do the obvious wrong. One thing is paying little to your employees. And yes, this might be seen as abusive too. The other is holding them as slaves. We should feel at least a little responsible for what we do. You know, I do not live in a very rich country. so I do not have to pay very much for my Models, yet it is good money and very fair for them under the local circumstances. Sometimes a Model does not sell and sometimes it does. So it happens that I earn ALOT from a specific face that sells really well. In this cases I always pay them more the next shootings or give them some sort of "Bonus". I just think it is fair. Sadly, in our world, this seems to be a "bad thing" for companies since its all about maximizing shareholders satisfaction. More Profit = Good. Apple sits on Billions of Dollars and pays its People a minimun wage? uuufff I think its wrong. I do not behave like this and I enjoy to sanction companies like this. It gives me satisfaction. And I do not think it is "cool" to have a iPhone nor am I a Kid who is freaking out for a week because he has Google maps on his phone. Ahhh, and did I already mention that I do not upload to istock anymore? Good luck for your step son! Buying your very first DSLR? what i should know before buying a domain? Sigma 18-250mm f/3.5-6.3 DC Macro OS HSM Lens worth buying?